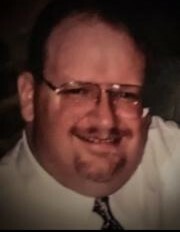 Obituary for Jeffrey Francis Nowak | Medford-Peden Funeral Home & Crematory, Inc.
Jeff passed away peacefully surrounded by family. He was a longtime resident of Marietta, GA. Jeff was a husband, son, brother, uncle and friend. He is survived by his wife Julie, their loving dog Dexter, his parents John and Regina Nowak, his brother John Nowak and sisters Melissa Nowak and Michelle Nowak. Jeff had three nieces Brandi Wentworth, Kimber Nowak and Montana Nowak and two nephews Dillon Tinlin and Sean Tinlin along with a great niece Kadence Nowak. Jeff attended Georgia State University and Fort Valley State University. He spent many years in Quality Assurance Software Management. He used his expertise, talent with writing and computers/technology to help and provide advice to anyone in need. On a personal level, Jeff was a very loving, fun and generous Christian man. His light spirit, laughter and beautiful smile brightened many people’s days. Jeff had a social, welcoming spirit which endeared him to many people. He could meet a stranger and part as new friends. His gregarious personality has made an impact on all the lives he touched and he definitely left this world a little better place. He will be greatly missed but the wonderful memories will fill our days with a smile and love that can’t be compared. Services are as follows: Memorial Remembrance and Celebration of his Life will be held Thursday April 11,2019 at 2:30pm at The Catholic Church of the Transfiguration 1815 Blackwell Rd; Marietta, GA. Donations in lieu of flowers to Cobb County Humane Society and American Cancer Society.